All eyes will be on the clocks tonight as we countdown to the New Year. Many of the clocks around the Capitol campus also get plenty of attention throughout the rest of the year. The Architect of the Capitol (AOC) cares for most of the historic and modern clocks here. Our electronic mechanics go to great heights to maintain and work on the clocks, sometimes needing elevators or ladders to reach them. 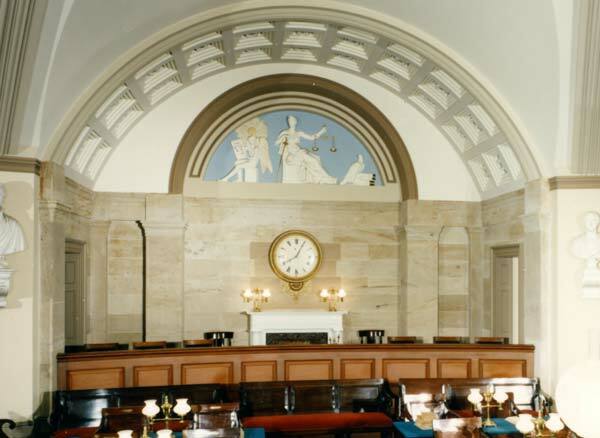 The clock in the photo above is just one of the places you can count on to check the time by looking atop the east exit from the Capitol Rotunda, below the relief panel of the Landing of the Pilgrims. Below are ten... nine... eight other clocks of note. This marble sculpture is among the oldest works of art in the Capitol. It depicts the muse of History holding a book in which she records events as they unfold. 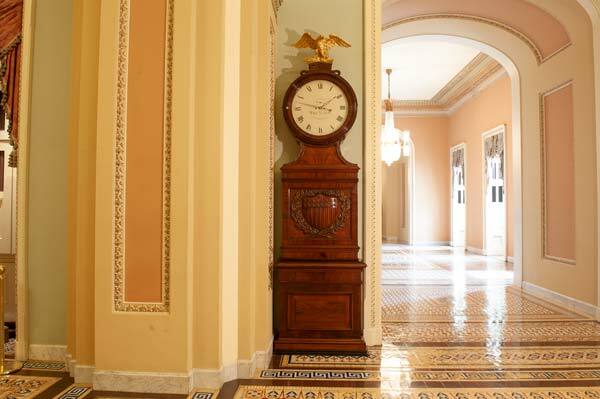 Located in National Statuary Hall, this clock faces an entrance to the current House Chamber. During the 19th century, Assistant Doorkeeper Isaac Bassett became famous for turning back the hands of the clock in the Senate Chamber to add precious moments at the end of a busy session. Electric clocks throughout the Capitol and congressional buildings feature lights and buzzers to indicate House and Senate floor activity, including a call to vote, a quorum call, adjournment and recess. This clock was set a few minutes fast to ensure the justices were timely. 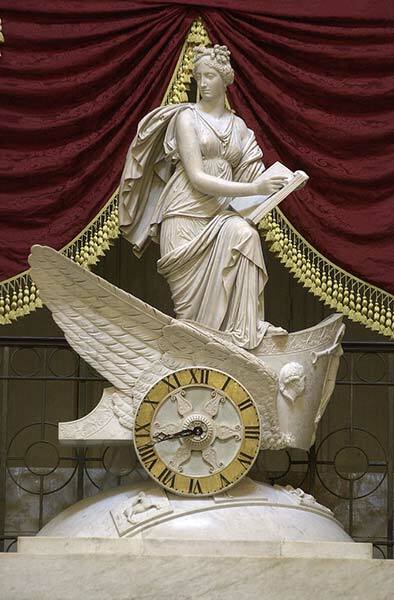 Above the clock is a plaster relief consisting of Justice in the center, Fame on the left and an eagle on the right, which protectively rests one foot upon books containing the written laws. Since the clock's arrival in 1816, it has stood in or near the Senate Chamber. 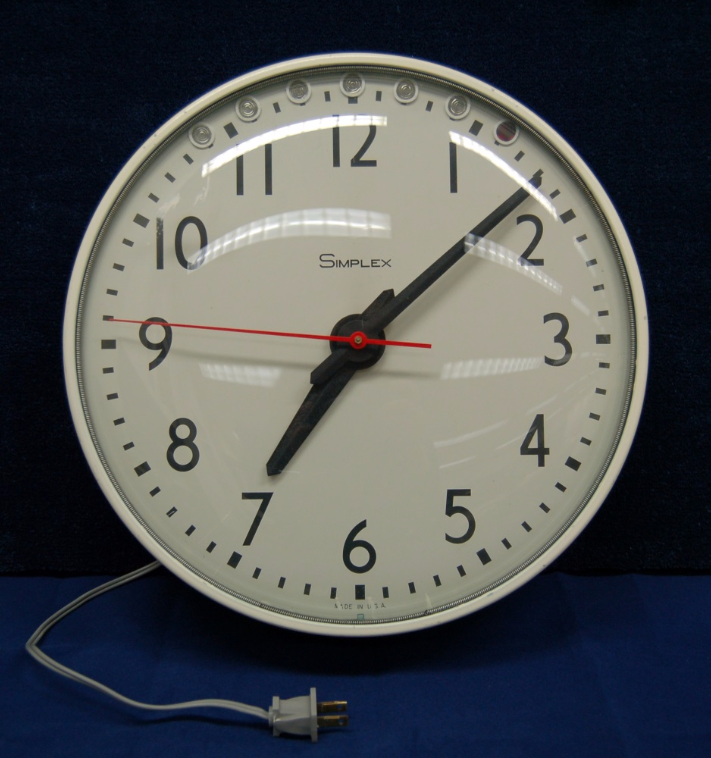 This clock is also known as the "Ohio Clock," even though no one is quite sure why. 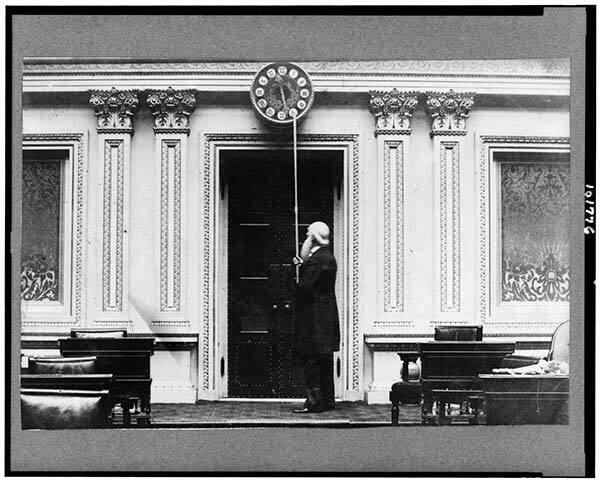 The winding and setting mechanisms for this clock are located in the back, which has to be reached by taking an elevator to a locked alcove overlooking the Main Reading Room of the Library of Congress Thomas Jefferson Building. 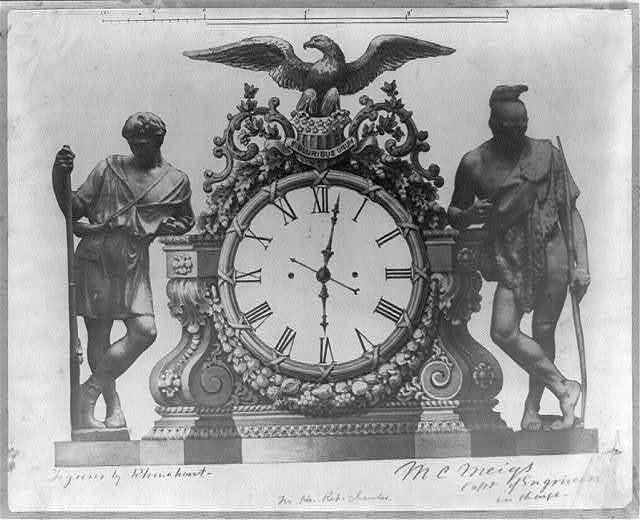 Originally installed over the north door of the House Chamber, this clock can now be found on display in the U.S. Capitol's Crypt. Its gilded oak case is crowned by a bronze eagle and flanked by bronze Backwoodsman and Indian sculptures. 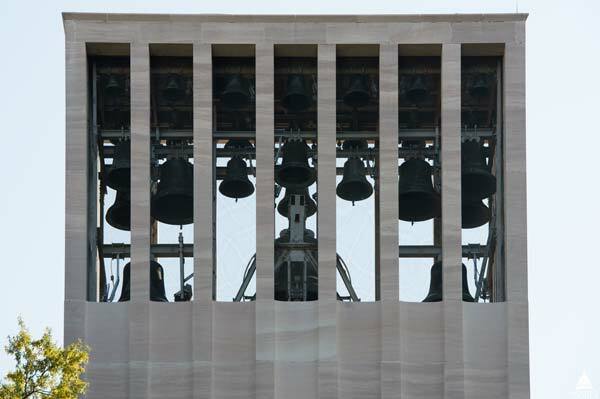 Not a typical clock when you first look at it, but the Taft Carillon's bells are automatically operated to strike the hour and sound on the quarter hour, they can also be played manually.